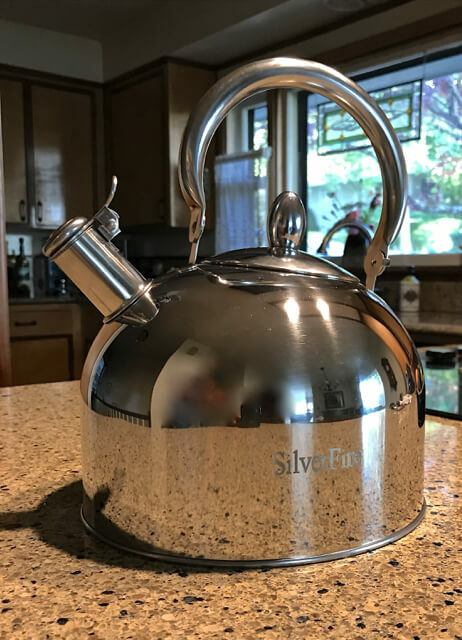 The Dragon Kettle, the New SilverFire Energy Saving 4 Liter Kettle! 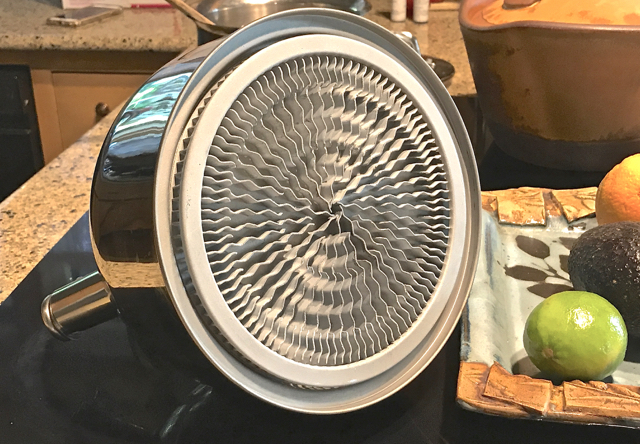 The heat exchanger base increases surface area of kettle and quickly transfers heat into the stainless steel water vessel. Save money every time you heat water! Heat water more efficiently and faster with the SilverFire Dragon Kettle. This kettle saves half your natural gas, butane or propane every time a kettle of water is heated. Ideal for LPG gas cooktops, propane cooktops, butane stoves and more! This fast heating kettle saves you time and money on your residential or backyard cooktop. 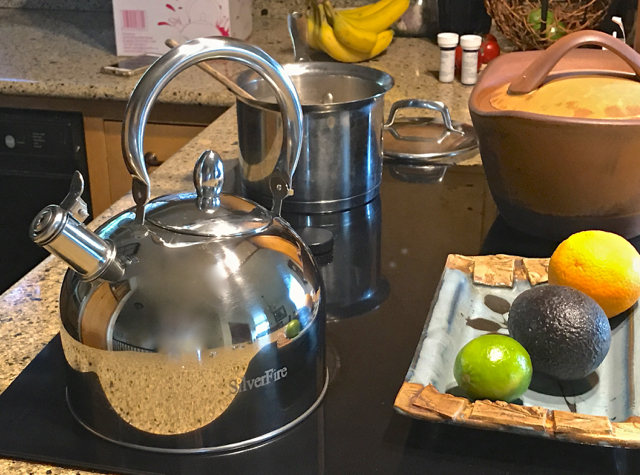 This stainless steel kettle features a custom laminated Aluminum finned base maximizing surface area to increase heat transfer efficiently and quicker than standard stainless steel kettles costing twice the price. This means you save twice your fuel and heat your water twice as fast compared to a normal kettle. Use it on your home cooktop as well. This elegant kettle works on any cooktop, including gas, electric and halogen cook tops too! Fast, efficient and save fuel costs & energy! Note: Open wood fires are hotter and transfer heat faster than LPG gas ranges and electric cooktops. You boil much faster due to increased heat transfer. The Dragon kettle seam where kettle wall and base are joined can lightly seep water when cooking with our high firepower natural draft and fan stopes. The finned base is harder to remove soot than with our Dragon pot. The smooth bottom Dragon pot is a more efficient boiling larger volumes of water then the Dragon Kettle and easier to clean when cooking with high firepower !